We received an email from the HR Manager for a group client of ours in the Middle East at 8 PM last night our time – an employee’s spouse in Europe was urgent need of an operation. 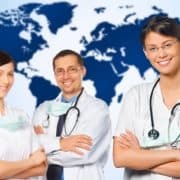 The Global Mobility Manager informed us that the surgery was a life and death situation, but the hospital was outside of the large and well known global insurance company’s network – which is the largest in the world. The hospital was unwilling to accept a written guarantee of payment from the insurance company and their evacuation provider, ISOS – which is unheard of. The hospital wanted claim paid in advance, which is generally not possible. One option was to have employer or the employee pay the claim to hospital & get reimbursed. This is often the fastest solutions for these situations as the insurer can then reimburse the claim and if the insured’s family member does not have enough money or credit limit on hand, most employers will. This is what we do as our client advocate, even after working hours and during weekends – it is what sets our firm apart. Expat Financial is a division of TFG Global Insurance Solutions Ltd. and is a global insurance brokerage firm. To learn more about what we can do for your expat employees, contact us or visit our corporate page.